I have a planning problem. I like to do it way too much. Particularly as it involves anything edible. I fear I’ve passed the syndrome on to my daughter. She’s 4 and it’s not unusual for her, while she’s eating her current meal, to want to know what she’s having for the next one. Sometimes, at 9:30 in the morning, she’ll ask what’s for dinner. I tell her she’s getting ahead of herself, but she also knows that I know. I have the kids’ menu written out for the week and she’ll tell me to check it. I gotta say, I’m with her – I kinda like knowing what my next meal is. And the one after that. And the one after that. Plus, meal planning takes all of the stress out of dinner time. I know what we’re having, I know I’ve shopped for the ingredients and I know I can throw it all together and make dinner happen. I typically plan our adult menu for the month. Now stay with me here. I used to do it weekly, and sometimes I revert back to that if I can’t get through a whole month of planning in one sitting. Or if I don’t know what’s coming up in terms of our schedules. 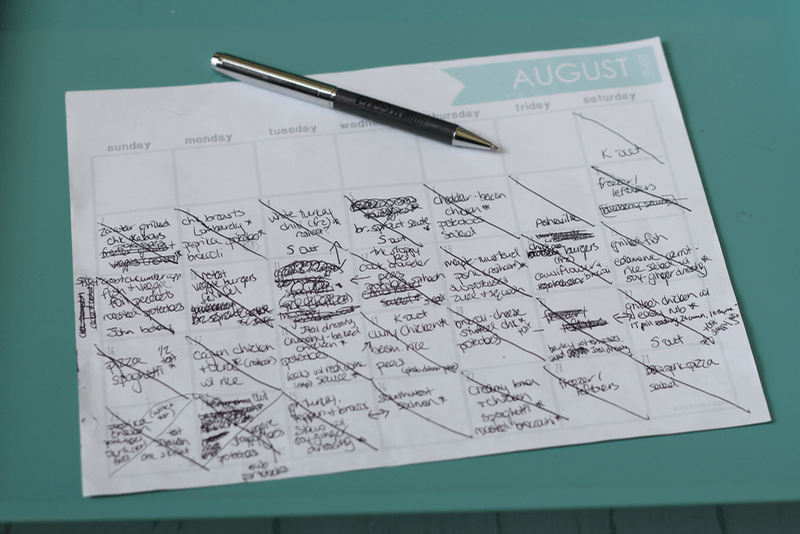 But generally, I’ve got a monthly calendar with all of our dinners planned. I like doing it monthly because you can make a note of the nights that you have a work meeting or a girls night or are traveling so you know that you won’t be there to cook and you can plan a freezer meal or leftovers for your spouse/family. You can plan around family get-togethers or dinner parties or other obligations so you know what to expect. Menu planing also makes grocery shopping a breeze. You just check your menu, check your recipes and you’re all set. You save money by knowing what you need and what you don’t, and you waste less food by not buying a bunch of stuff you don’t end up using. Now, of course, there is flexibility. Sometimes salmon goes on sale and I switch that dinner around so we can get it at a discount. 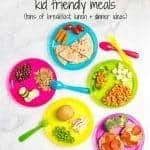 Sometimes we have one of those days where the kids have worn me slam out and I’ll pick whatever is the least involved dinner for that week – or one of my back-up, go-to dinners – and have it that night. It’s a fluid thing. Here’s what my menu starts off looking like and what it ends up looking like. A total mess. I also love these from Simple as That, The Taylor House and Craftaholics Anonymous. Having a plan makes it so much easier to get home cooked meals on the table. 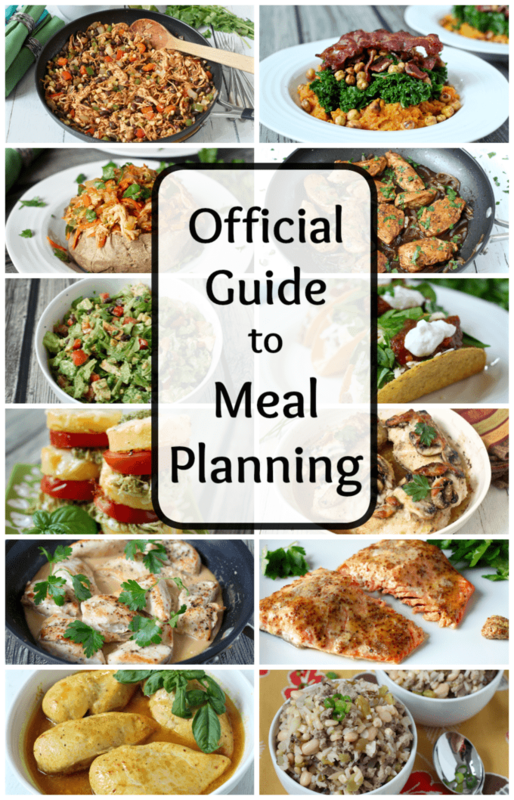 So I’ve compiled an extensive run-through of all the considerations to take into account as you start to plan your weekly or monthly menus. Once you get into the groove, you’ll wonder how you ever survived without it! 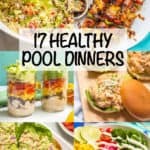 If you’ve got soccer or swim or music one night, make sure that’s a night that you do something in the crock pot or have leftovers to transform into another meal or have part of the meal pre-prepared. 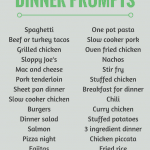 I’ve got lots of quick meals that help me pull together dinner even on the busy nights. I also make a note of when I won’t be home for dinner — girls night every third Wednesday of the month! Whoop, whoop! — or when my husband is out for work or travel. I know to make something ahead for him or to pull something from the freezer. If it’s him that’s out for a night, I load up on veggies so I can overdose in solitude. My guilty pleasure, minus the guilt. Are you zapped on Friday nights? Or do you want to kick back on Sundays? Plan around what you know works for you. Make your longer, more involved dinners on days that you tend to be more energetic. Save your quick and easy go-to dinners for your crazy days when you just aren’t in the mood. 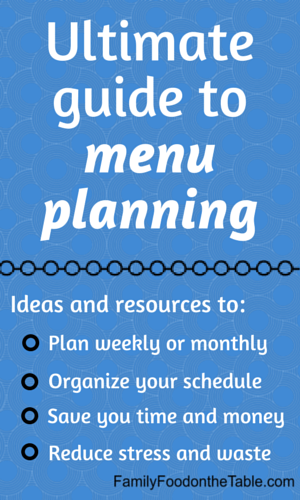 You’ll need to plan your menu around when you grocery shop, if that’s something you have already scheduled. 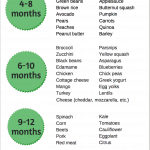 Particularly if you only shop once a week or if you frequent a farmers market or have a CSA delivery. Use the more perishable items the first few days after you shop and the more shelf-stable and longer-lasting veggies later in the week. I get an email once a week with what’s on sale at my grocery store. This is how I started menu planning, on a weekly basis. I would see what was on sale, create a menu for the following week and then load up on the sale items. Even doing it monthly now, I sometimes shuffle my menu around to be able to buy and use what’s on sale. Budget-friendly is a good way to go! You can balance your menu better when you plan it out. I try to vary our proteins — meatless/vegetarian night, chicken, turkey, pork and the very rare red meat night — as well as our starch — potatoes, rice, quinoa, barley, pasta — and our vegetables so we’re getting a good variety. 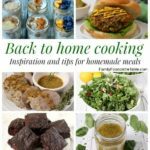 You can also take advantage of batch cooking when you have a full week or more planned out. You can grill some extra chicken or double up on your rice one night to have to pull out for later in the week. Less waste and less time spent in the kitchen. What’s not to love? So there you are. All my insights and tips into menu planning. It’s a lifesaver around here and I strongly recommend it as a sanity saver. It may seem intimidating at first, but give it a try and I bet you’ll be hooked. And please let me know if you have questions or need help or ideas along the way! You are so incredibly organized! I never have a plan. I make impulse buys at the grocery store then have no idea what to do with it. It’s a blessing and a curse I think, Cathleen 😉 Though I do love buying or ending up with extra veggies to make impromptu sides and lunches with! Oh I am totally and utterly in love with this post!!! I am a menu planner too and so many of my friends laugh at me about it!! But you ask what we are eating this week and I will know exactly! I know what we are having for breakfast, lunch, dinner and what snacks I will be making. I always have the ingredients I need and I never have to look around lost….missing items and looking around for things is a daily occurrence in my house!!!! So this post is just so wonderful, I am sending you a virtual hug as I no longer feel quite so strange that my food life is organised and scripted. 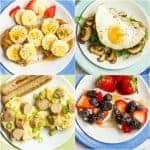 I always do a weekly meal plan and generally stick to the same notions you have expressed here, makes life so much easier. I cannot fathom how to manage a month at a time though – well done, hats off to you. It is such a time and sanity saver, isn’t it? I started doing it weekly and have (mostly) migrated to monthly, but that just works for me. Thanks for hosting such a great party, Malinda! Have a wonderful weekend! I feel like I am doing good if i take out 3 pr 4 meats, poultry, or fist out of the freezer on Sunday to have during the week. That is usually when I start planning. 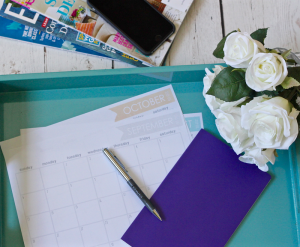 I couldn’t imagine having the whole month planned out. Maybe I should start with two days a week. Thanks for sharing with us at #ThrowbackThursday. Hope to see you again this week. I think any planning or thinking ahead to the week’s meals is a huge step! It’s all about practice… from there you might want to have a few recipes you know you’ll make and from there a few entire meals you’ve got in mind. It’s all about little steps and whatever you need to make it work for you and your family. A whole month is probably too crazy for most people and that’s totally OK. Every little bit helps!